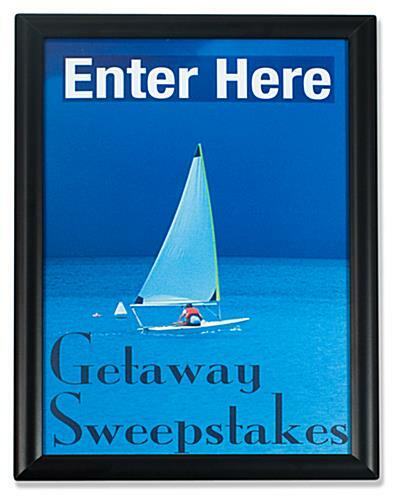 This Stylish Sign Supply With Matte Black Finish Keeps Your Images Safe! In Stock so Order Today! We Know Sign Supplies! 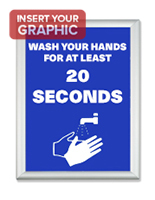 This fast clip sign supply is excellent for exhibiting pictures, media content and images. 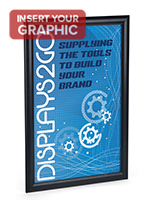 This sign supply is a quick snap frame with wall mount that showcases 11" x 17" prints. 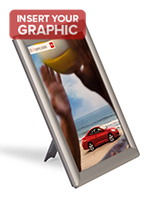 This picture holder has four hinged edges that open and close quickly. 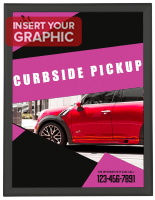 To set up images merely flick open the perimeters, insert your signage, and clip shut. 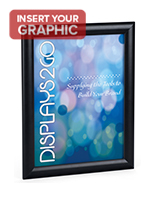 This framing device, sign supply has a matte black finish with a fine profile. 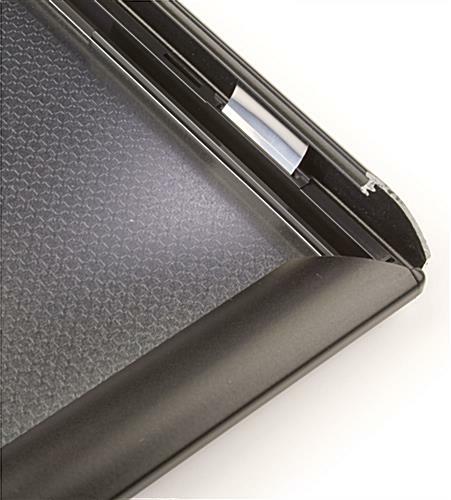 A see-through PVC non-glare lens covers your signage and protects it from ruin. 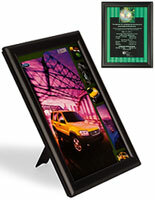 The back of each and every clip display is manufactured from molded acrylic. 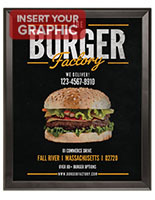 This professional sign supply for sale in bulk can be affixed in the upright or landscape position based on your needs. 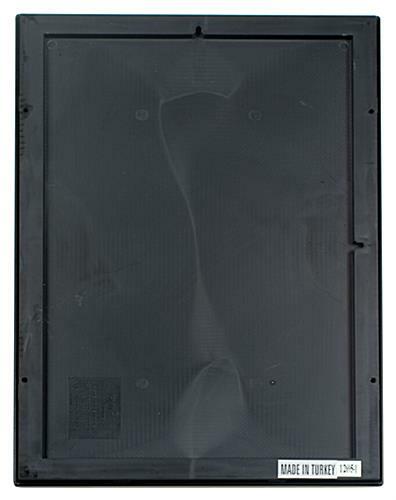 Our company sells this sign supply with the screws and anchors needed for mounting the sign supply. Please note that a portion of your images will be covered by the frame.